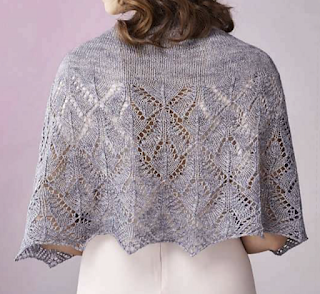 Sitwell was originally published in The Knitter (issue 111) but is now available as a download pattern and as a kit. 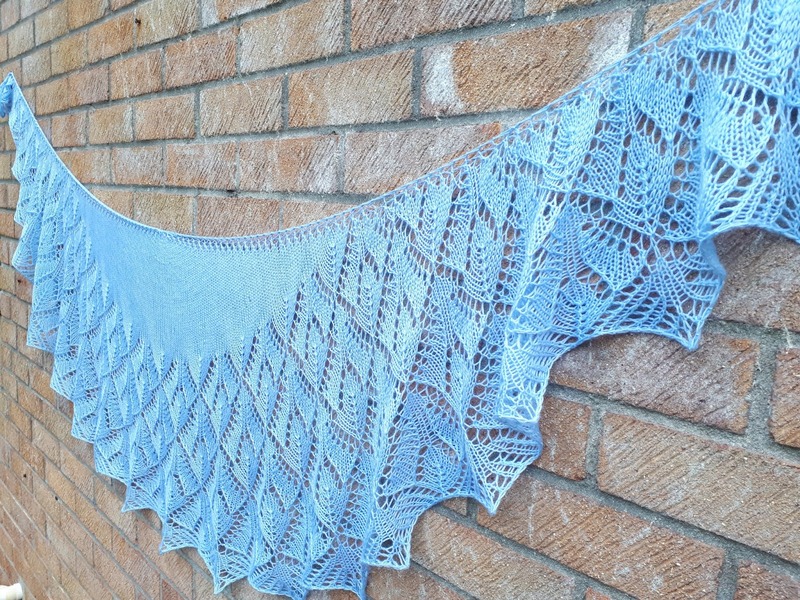 Sitwell is an elegant crescent shawl that showcases a dramatic lace pattern. 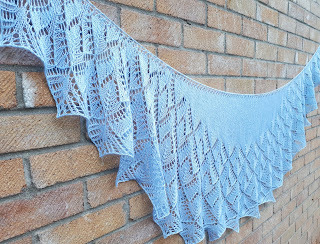 The new version is knitted in Lang Merino 200 and I've got some kits available to order now. 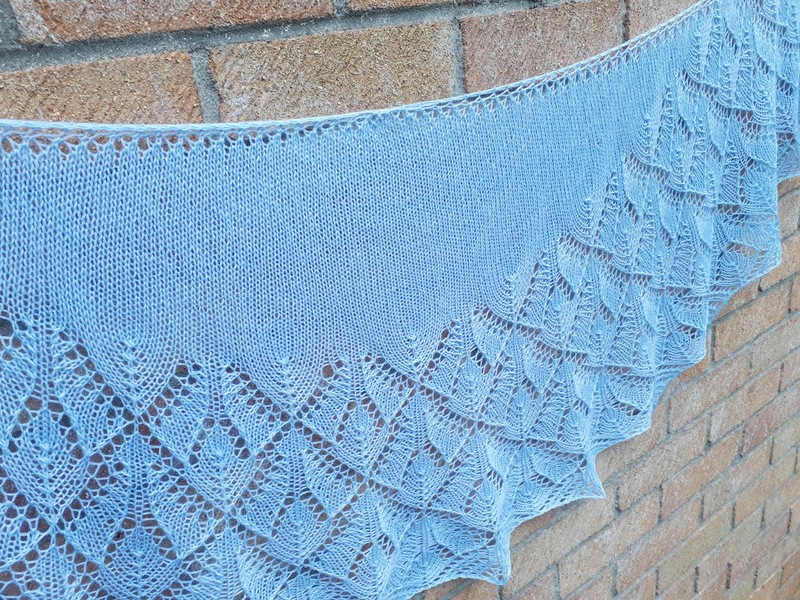 Get 25% off the Sitwell pattern until midnight Tuesday 5 June 2018. Use coupon code: sitwell25. Not valid on kits. 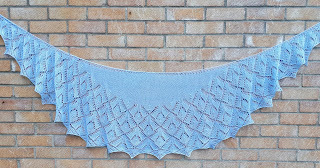 Sitwell takes four 50g balls of Lang Merino 200 or 800m/200g of 4ply yarn. 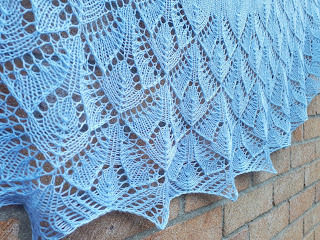 I have a selection of kits available here. Kits have been discounted! I loved the original grey version of Sitwell but I love the new version even more. The solid, smooth merino shows off the lace pattern to perfection. 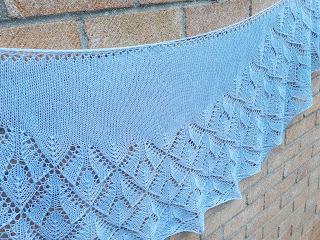 Thank you to Liz who knitted the new shawl for me. Sitwell is worked from the top down. 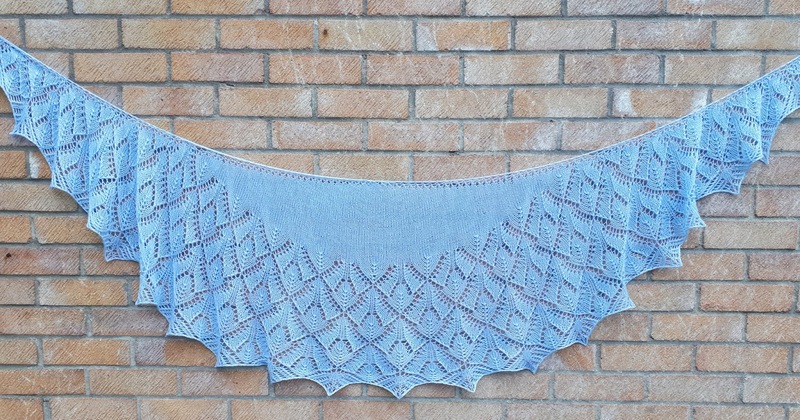 Top down crescents often create a hump at the centre top where you cast on and this annoys most knitters. 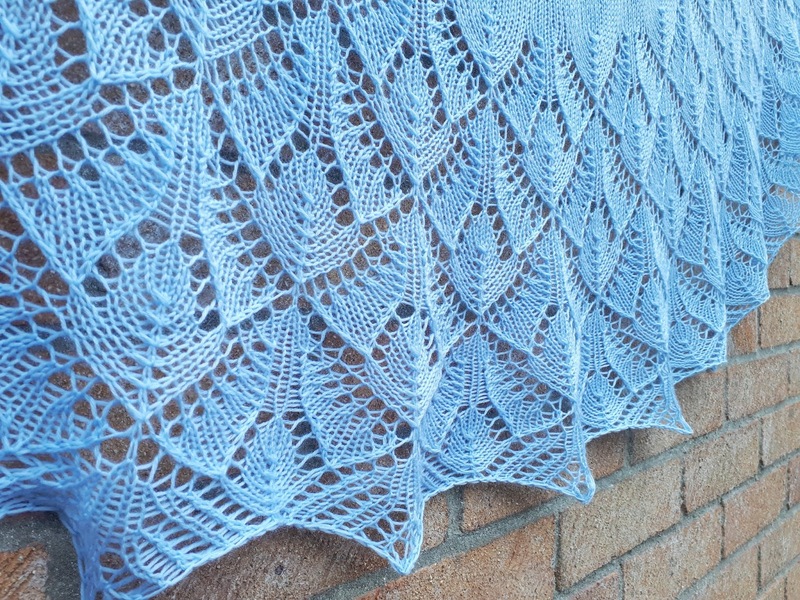 I've found a way of eliminating this hump and it's much easier than the Garter Tab cast on often used for top down shawls. 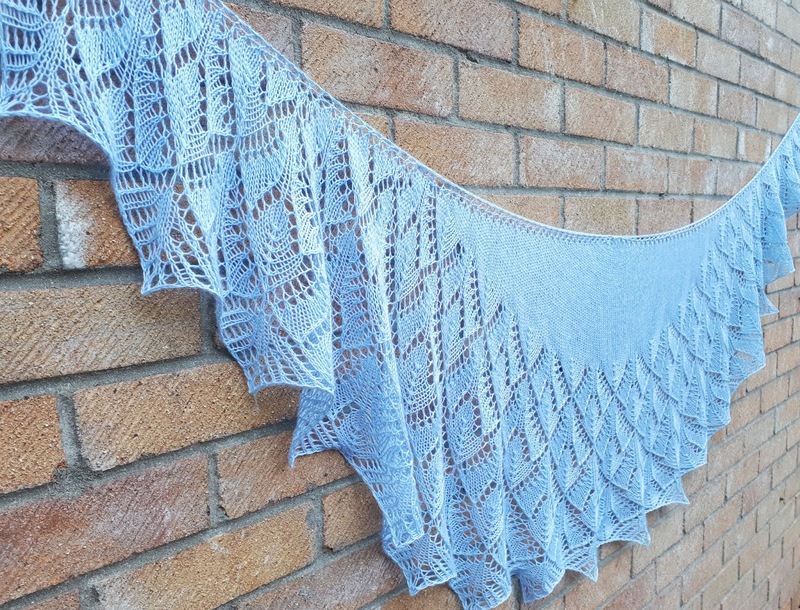 On Monday I'll show you how to convert your top down crescent shawls so that you no longer get the hump. 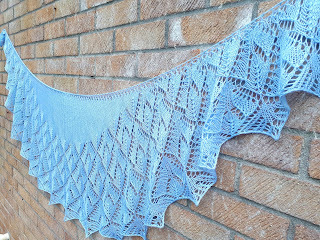 Join me Live in my Facebook group - Love of Lace Knittting at 14.30 UK time on Monday 4 June. If you're not already a member, request to join now. Please answer the questions when you request to join. You'll get approved much quicker. We just need to know that you're a knitter, not a spammer.